Losing weight and maintaining a healthy diet is hard – But it doesn’t have to be! We are living in the best of times, but obesity, diabetes, and heart disease rates are at an all time high. To make matters worse, latest research has shown that genetics plays a large role in our susceptibility of getting such ailments. In other words – Your kids health is also at stake! The biggest issue many face when trying to lose weight is making our diet, and lifestyle work in our favour as opposed to against us. Wouldn’t it be great if you could eat what you wanted, get fitter, and live longer without having to sweat it out for hours of gruelling pain at the gym? From our experience, (and the latest research in nutrition and fitness) the most important factor in maintaining a healthy weight is all about the quality of what you eat as opposed to the quantity. Also, in order to stick to a particular fitness or diet regime, you have to actually enjoy it. Psychology and habits play a big role in whether you set yourself up for success or failure when it comes to your body. Fitium.com was developed by nutritionists and doctors to provide you with a complete solution: A personalised diet plan, an easy way to track your progress, support to keep you motivated, and the latest info to help you reach your weight management goals. With Fitium you can get started in minutes, get your personalised diet plan, track your progress through time with interactive charts, and get ongoing advice and coaching designed by the best in the field. 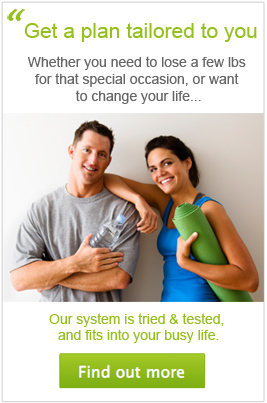 So if you’re ready to get real results, join the Fitium movement and see you inside!